If you assume that summiting the Mt Everest is the only adventure and thrill, think again. The lap of the majestic Mt. Everest, Everest Base camp has been one of the most sought-after destinations for adventurers and truly so, it manages to live up to its name. The Everest base camp is the ultimate gateway to the Everest. This ultimate destination at the Khumbu region lies at a breathtaking altitude of 5380m. While getting to the Everest base camp, one should be prepared to view, glance and devour over the top views of the snowcapped Himalayas. 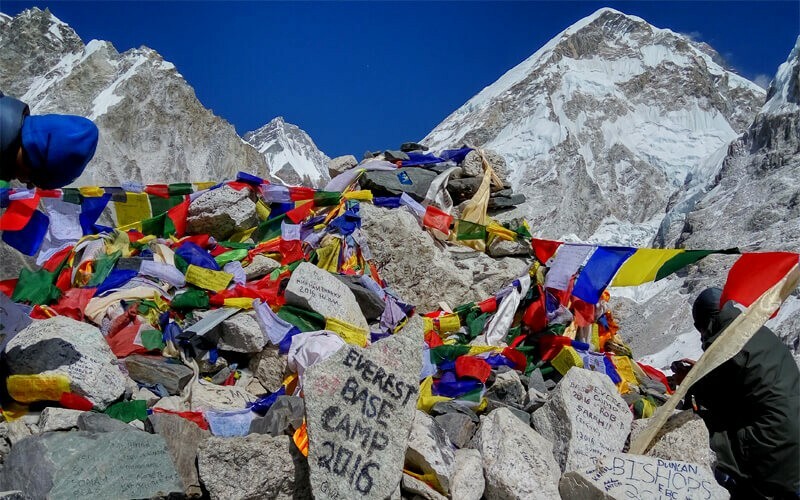 With abundant tents lined up and climbers walking to and fro, the Everest base camp holds a special place in the hearts of those who have stepped foot here. In order to make your trek to the Everest Base Camp a picturesque and tranquil one, undertake your trek in the months of spring, namely March to mid-May and during fall, namely September to mid-November. The road through the Everest Base camp is the one that has always been preferred due to its panoramic view of the world’s highest mountains and also there being so much to see and experience through the trek. With glaring white snow resting all around and majestic peaks standing tall and high, the gush of the thin air sweeping across your face as you’re wrapped in rig-outs to keep yourselves warm, the Everest Base Camp has a surreal experience in store for everyone who dares to conquer it. Indigenous people of the Khumbu region are the Sherpas, who have miraculously adapted themselves to the high elevations of the Himalayas. Like how we are aware of each nook and cranny of the place we’ve spent our lives at, likewise, the Sherpas are no strangers to the trails and ridges that we dread so much. Perplexing as it may sound, Sherpas are regarded as a key part when it comes to conquering the Himalayas. In order to undertake this trek, one must board the flight to the Tenzing Hillary airport which has been listed in the world’s most dangerous airports. The adventure begins right away; the minute you board the flight. While you undertake the trek, the Everest Base camp isn’t the only attraction to seek after. As a matter of fact, the entire trek is filled with the beauty, tranquillity and the astonishing views of the Himalayas. With every move and stop you make towards the Everest Base Camp, you will be filled with over-curiousness to unveil yourself to the next amazing view in store for you. Red-cheeked kids frolicking around, locals getting on with their daily chores, elderly people gathered around a fireplace having their tittle-tattles and bushy yaks and muscular horses grazing about are sights that you can view only the Himalayas have. Greeting you along the way are the soaring pinnacle showcasing you small previews of something greater that is yet to come? Set foot on the UNESCO Heritage site, Sagarmatha National Park where distinct wildlife creatures thrive. Explore the Tibetan culture that has managed to engrave itself in the Himalayas with the spectacular monasteries, monks draped in red and yellow, prayer flags swaying rapidly and Tibetan inscriptions engraved on huge boulders. The white glaring snow engulfing the colossal Himalayas, disguise themselves as walls and make you feel at home. Pinnacles that seem to be touching the sky, engulfing you with 360-degree views is definitely a view that will be mind-blowing. Engrave your footprints on the blindingly white snow, with the thin cold air blowing across your face. As a matter of fact, who wouldn’t want to set foot on the stunning Everest Base camp? It would be a matter of enormous joy and pride to tell stories of your escapades in the Himalayas. At Frolic Adventures, itineraries are designed in accordance to your comfort and needs. Our highest priority is your safety, which is why we wouldn’t compromise and risk anything that may put your safety at risk. With state of the art and the latest mountaineering gears, your experience to the Everest Base Camp is going to be a tremendous and fulfilling one. 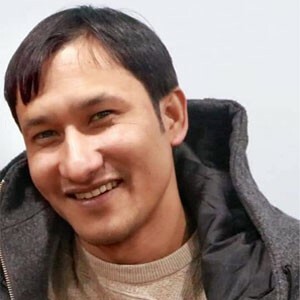 About our trekking guides and experts, we have the best team that have undergone years of experience of exploring and helping enthusiasts explore the Himalayas. Our experts from Frolic Adventure will show take you through the best of trails and ensure that you devour the best of views. With Frolic Adventure, you are guaranteed to be in the best and the safest hands that are no less than family. Trek with Frolic Adventure, create bonds of a lifetime.